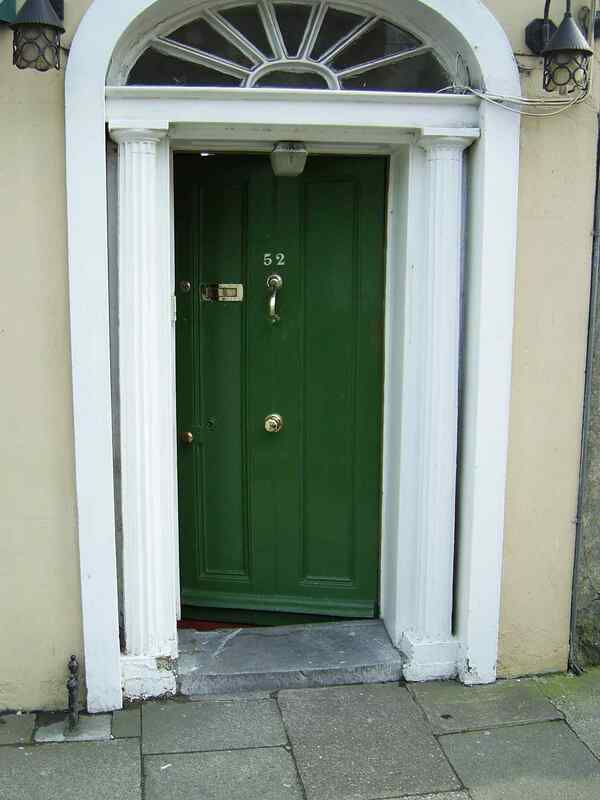 Home of Blennerhassett Cashel when he was goods head for the GSWR at Cork. 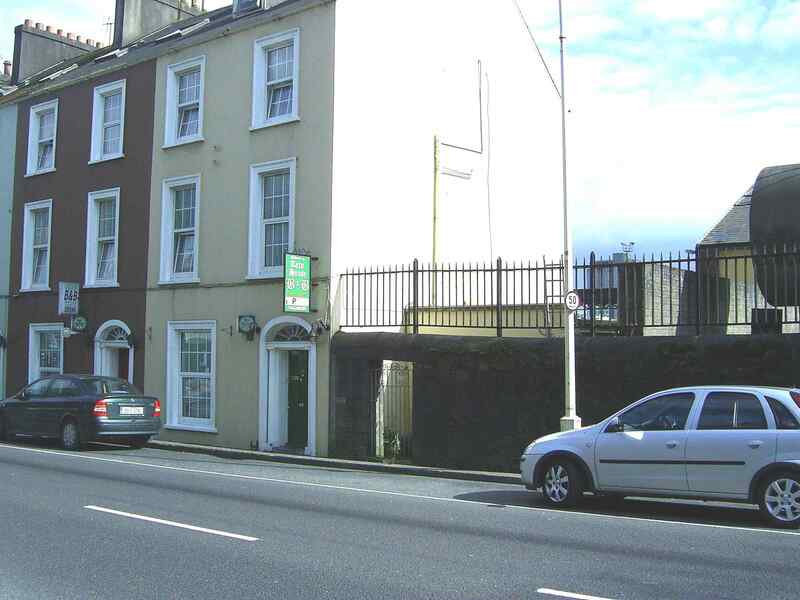 52 Lower Glanmire Rd is beside Cork railway station. First house on RHS outside gate of railway station, at end of block whose back walls are the railway yard. 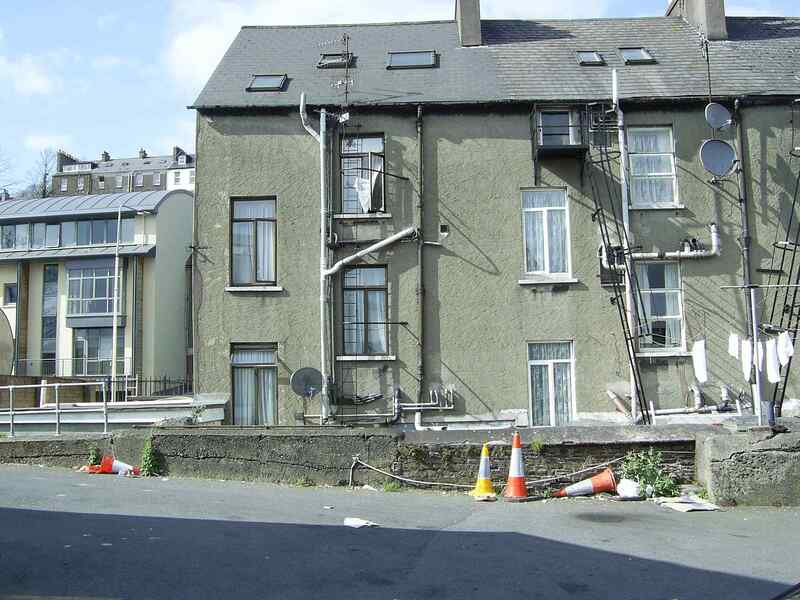 52 Lower Glanmire Rd (yellow house, last house on block). This site says the house is 18th century. It certainly existed before 1842. The Great Southern and Western Railway (GSWR) reached Cork in 1849 - the first railway to Cork. The house at some point became GSWR property. Blennerhassett Cashel was goods superintendant for the GSWR at Cork. He moved to Cork to live in this house apparently in 1893, when the new Cork railway station was built (replacing earlier station). He lived in this house until his retirement 1911. The house is now "Tara House" Bed and Breakfast. 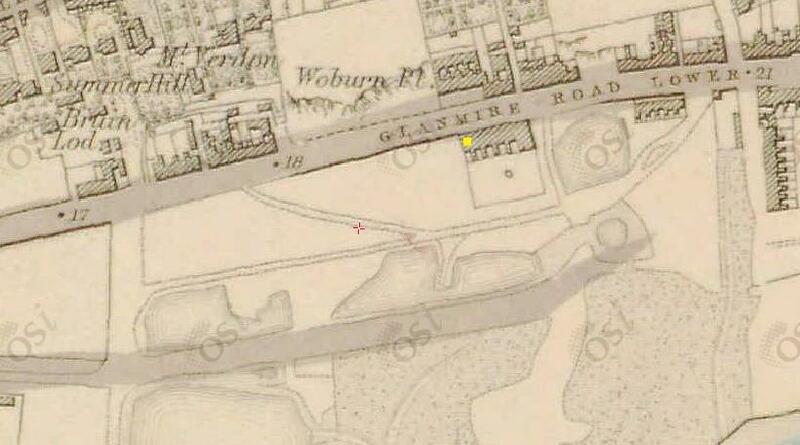 52 Lower Glanmire Rd (marked in yellow), before the railway (before 1842). From 1829 to 1842 map. 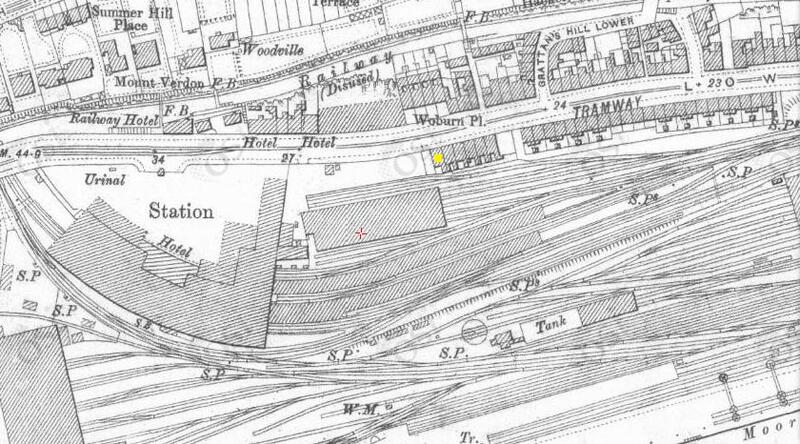 52 Lower Glanmire Rd (marked in yellow), after the new railway station was built in 1893. Light adjusted digitally. See original. Perhaps late Georgian / early Victorian. Note boot scraper. 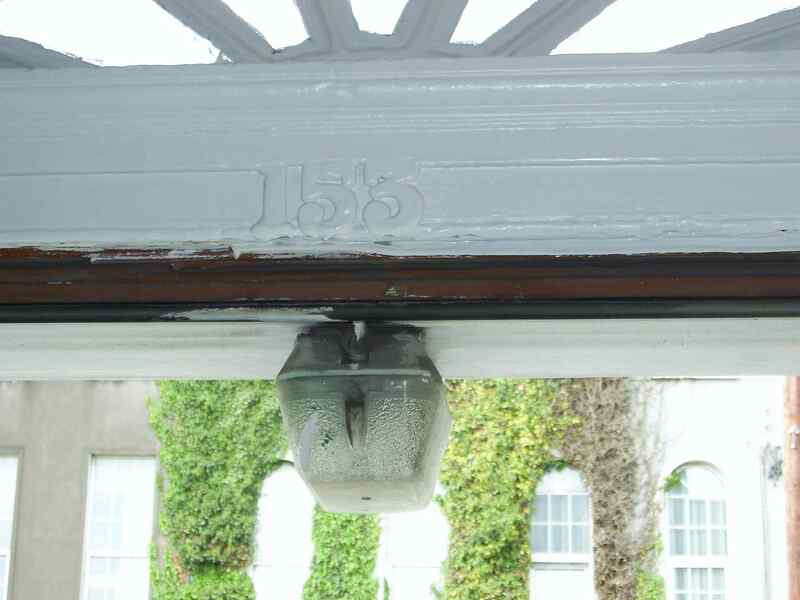 Strange number "153" inside front door. Maybe got door frame from another house. The back of the house, showing access to railway yard. Photo 2006. See full size. Video 2006 showing the railway yard and the back of the house.